Fiat Chrysler Automobiles CMO Olivier Francois has been named MediaPost’s Automotive Marketer of the Year for 2017. 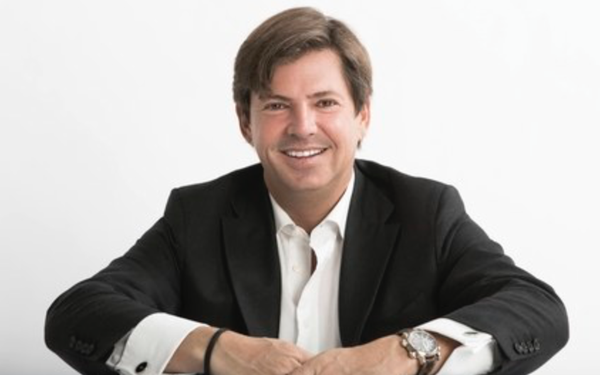 Francois will receive the accolade during the Marketing: Automotive conference on March 28 at Javits Center during the New York International Auto Show. Past winners were Tim Mahoney, CMO Chevrolet, and Thomas J. Doll, President, COO, Subaru Of America. The jury that selected the award winner are Ian Beavis, chief strategy officer, AMCI Global; Elgie Bright, automotive marketing and management department chair, Northwood University; Larissa Faw, reporter, MediaPost Agency Daily; Tanya Gazdik, senior editor, automotive, MediaPost; Michelle Krebs, senior analyst, Autotrader; Noah Mallin, head of experience, content and sponsorship, North America, Wavemaker; Luis Miguel Messianu, creative chairman, chief executive officer, Alma; Scotty Reiss, founder, A Girl's Guide To Cars and Gary Topolewski, communication developer, Estota. Jurors reviewed automotive marketing that originated during calendar year 2017 to determine the winner. Francois was appointed head of Fiat brand and chief marketing officer and named a member of the group executive council in September 2011. Previously, Francois was appointed president and chief executive officer for the Chrysler brand, Chrysler Group LLC in October 2009. He joined the company from Fiat Group Automobiles, where he was president and chief executive officer for the Lancia brand. He was also the lead marketing executive at Chrysler Group with responsibility for marketing strategies, brand development and advertising for the Chrysler Group and Fiat Group Automobiles brands. Before joining Fiat in 2005, Francois worked in positions of increasing responsibility at Citroen. He holds a degree in economy, finance and marketing from Dauphine University and a diploma from the IEP (Institute des Sciences Politiques) in Paris, where he was born.